Where: Start at Bulli Pass. The Lower Escarpment trail combined with the Highlands Parade Trail offers around 5km of bushwalking tracks. The walk offers extremely lush forest and you can get ocean views along the way. There are some step hills to walk up which will get the heart pounding. For a more challenging walk along the Illawarra Escarpment see the Sublime Point walk which is around 15km. Google Map Link. 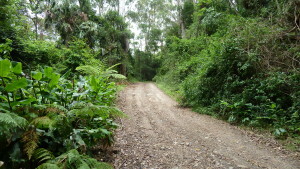 To get there go up Bulli Pass about half way. Just below that really tight bend. If you know Bulli pass you’ll understand what I mean. Below is a map of the Lower Escarpment Trail and the Highlands Parade Trail. Photo gallery of the Lower Escarpment Trail Bushwalk.